New York bartender Naren Young runs down a list of cocktail program need-to-knows. Don’t create a menu for yourself or to impress others bartenders. If you work in a high-volume lounge where Vodka & Soda is your most popular mixed drink on a Saturday night, then perhaps that lavender-scented Sazerac with the absinthe foam you’ve been tweaking for the past six months is not the wisest choice. Nothing is more important in business than knowing your audience. Think, what kind of people are visiting your venue? What are they drinking? Do their tastes change depending on what night of the week it is? Try to create a menu that has something for everybody. You’re never going to please everyone all of the time – but you can get close. Ask, do you have a good cross section of spirits represented? This, of course, isn’t so important if your establishment specialises in a specific spirit. But I always ensure I have a vodka cocktail, two gin drinks, two to three whisky drinks, a cognac option, one or two tequila or mezcal cocktails and a couple of rum drinks. Then flesh this out with low alcohol and aperitif options. 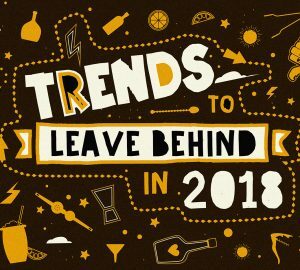 Low-alcohol cocktails have become increasingly popular in recent years and it’s a welcome change from the era of strong, spirituous libations. “Stirred and brown” was a catchphrase that became part of common cocktail vernacular and, personally, I couldn’t wait for it to end. 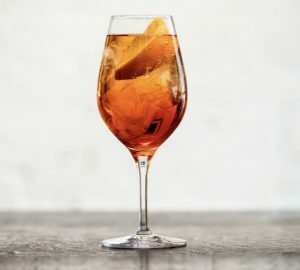 Thankfully, today, more people are appreciating cocktails made with sparkling wine, vermouth, sherry, port, madeira and beer, not to mention countless amari and other bitters such as Aperol and Campari. Low-alcohol drinks are great with food and make good session cocktails. The profit margins on them are incredible, too. Libra at Trick Dog, San Francisco, nominated World’s Best Cocktail Menu, Tales of the Cocktail, 2014. Enormous cocktail menus used to be the norm. One of my favourite bars of all time – Lab, in London – boasted 162 drinks. Is that too many? Of course. But at the time it felt right. But things evolve, tastes change, we learn. How many drinks you have on your menu can also be determined by the kind of venue you are. 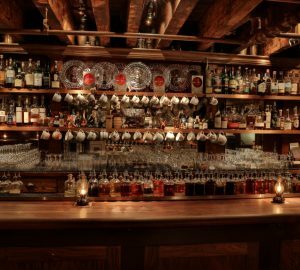 As The Dead Rabbit’s Jack McGarry explains (see number seven), a big menu is part of his bar’s identity and, for him, 65 drinks is appropriate and manageable. At Bacchanal, a new restaurant I’ve just opened in Manhattan, we have 22 drinks on our list, which by New York restaurant standards is considered quite ambitious. 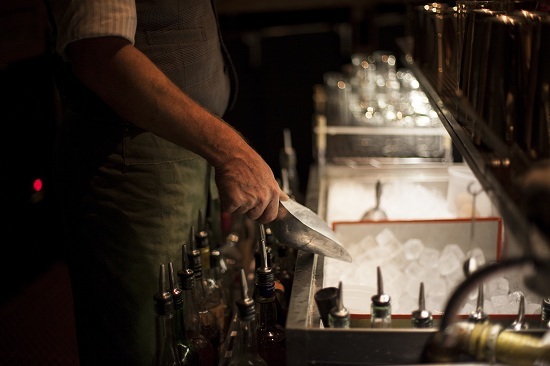 The way in which cocktails are articulated by your staff will determine what sells and what doesn’t. Again, this can be covered in training to ensure they know how to describe each drink’s flavour profile, texture, base spirit or modifiers. The wording on the menu is also key: some bars, such as The Aviary in Chicago, go for the minimalist approach, only using a few words for each drink (which means the floor staff need to be even more versed in how to describe each one). 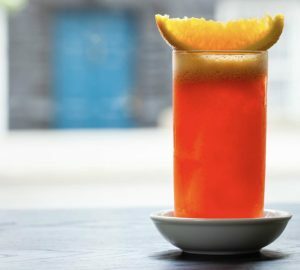 At the now shuttered Bayswater Brasserie in Sydney, we went for a much more poetic approach, where a drink such as a classic Bramble might be romanticised as such: “A hefty pour of Beefeater gin, poured over lashings of crushed ice with freshly pressed lemon and a whisper of sugar, crowned with wild blackberry liqueur and finished with finely grated nutmeg”. Yes, all of them. In this digital age, with magazines such as this one, as well as the increasing number of online blogs and other media outlets, you simply must spend money on a professional photographer if you want to stay ahead of the competition. If you put out world-class drinks across your bar, then there is always someone, somewhere that is going to want to tell other people about it. If you have top quality photos ready at the click of a button, then not only will you look professional, but these publications will come back to you again as a result. Blind Pig, London, nominated for Best New International Cocktail Bar, Tales of the Cocktail, 2014. When your menu is finished, use social media to promote it: Facebook, Twitter, Instagram, Weibo, WeChat – the power of these social media platforms to sell drinks can’t be understated. Try to promote a different drink every day. And, if you’re running any drinks specials, happy hours, promotions or launching a new menu, then these can be very effective tools to drive business to your venue. 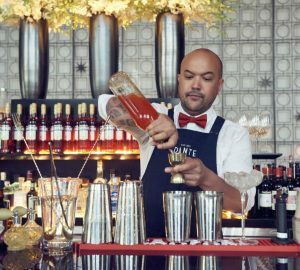 Naren Young is a New York-based bartender and journalist who has created cocktail menus for dozens of bars around the world. 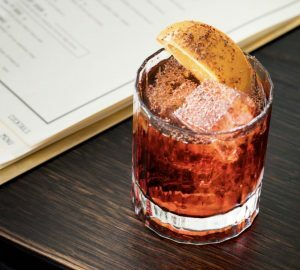 You’ll now find him behind the bar at Bacchanal, New York, probably sipping on a Negroni.